BOSTON–(BUSINESS WIRE)–AirFox, the company making mobile data and internet more affordable for millions of people, today announced it closed its $6.5 million ICO pre-sale weeks earlier than scheduled. The ICO will open at 10 a.m. ET on September 19, 2017. 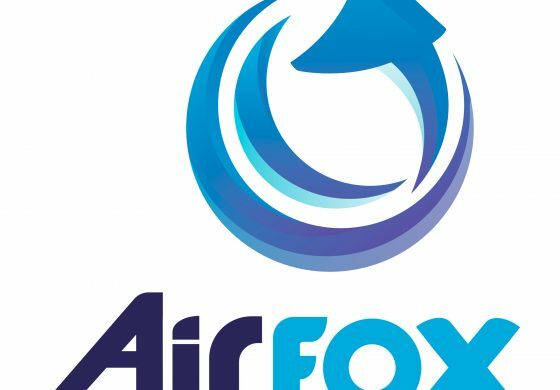 AirFox will use the ICO funds raised to further develop and launch its new blockchain consumer platform, AirToken (AIR), in order to tokenize mobile access by unlocking mobile capital from the smartphone for the underserved and underbanked prepaid mobile subscribers in emerging markets. A TechStars portfolio company and venture-backed startup with a proven business-to-business wireless product, AirFox aims to raise up to $15 million in a token sale to make mobile internet more accessible to four billion underserved people in emerging markets who cannot afford it. 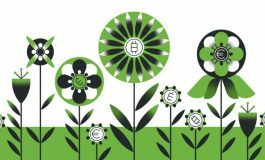 The pre-sale attracted a very diverse audience, including sophisticated crypto investors, angel investors and other early backers of the project. AirFox wants to build a broad community of supporters, not just large early investors. AirFox also capped the amount a single person could purchase in the pre-sale to maximize individual contributions while creating a diversified pool of AirToken holders to benefit the long-term success of the project. The latest version of the AirToken whitepaper (version 3.0) contains numerous updates, additions and tweaks that answer questions raised by pre-sale purchase inquiries, clarify any ambiguities and reflect advice provided by legal counsel. Over the last year, AirFox’s business-to-business platform has enabled more than 2 million unique U.S. prepaid wireless subscribers to reduce their mobile costs while helping wireless carriers better serve their customers. Now, AirFox’s free consumer Android apps, AirFox Recharge and AirFox Browser, enable any prepaid mobile subscriber on Earth to earn AirTokens by viewing and interacting with advertisements. Users can redeem AirTokens for mobile data or use them to send mobile data to others via 5 billion prepaid SIM cards and over 500 wireless carriers. AirFox will use the ICO funds to develop a revolutionary microloans program and expand abroad to emerging markets. The AirToken micro finance system will allow peer-to-peer lending in Air-Tokens at more affordable rates using the mobile data and airtime ecosystems that already exist in these markets. AirFox eliminates the overhead involved with traditional lending caused by inefficient intermediaries and government regulation by using the blockchain to match lenders with borrowers at transparent terms, and reduces the transfer fees involved. By analyzing thousands of data points on mobile behavior, device data, payments and browsing history, AirFox will use proprietary algorithms to assign credit rankings to users. Using these credit scores, AirFox will segment users into tranches, allowing lenders to provide microloans in AirTokens through an Ethereum smart-contract. The AirToken system provides greater access to capital at cheaper rates, expands access to mobile capital through pre-paid wireless accounts, and improves the lives of underserved lower socioeconomic classes. On September 11, AirFox will be at Pepcom and Showstoppers at Mobile World Congress Americas to promote the AirToken platform. Founded by ex-Googlers Victor Santos and Sara Choi in January 2016, AirFox quickly established itself as the leader in affordable data plans for US-based prepaid wireless carriers. Incubated at Harvard’s Innovation Lab, AirFox is a TechStars Boston alumni and is venture backed by Project 11, Launch Capital, and NXT Ventures, among others. 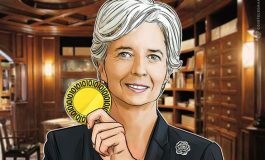 With the launch of its ICO and new blockchain consumer platform, the company is on a mission to enable unrestricted access to the internet for anyone with a prepaid smartphone. AirFox’s free Android apps, AirFox Browser and AirFox Recharge, enable users to earn AirTokens, a new cryptocurrency, by viewing advertisements on their devices, completing offers, and browsing the internet. AirTokens are redeemable for mobile data and, eventually, goods and services. AirFox will use the ICO funds to develop a revolutionary microloans program that enables peer-to-peer lending in AirTokens at more affordable rates. To learn more, visit www.airfox.io.